If you’re an artist or run gallery or museum, you can promote your business and showcase your exhibits with our Cubic Borders postcard design template. Cubic Borders also works for any retail business looking to showcase their products or services with flair. On the front you’ll find a replaceable image of watercolor print flanked on the left by two cubic spaces, separated by a geometric border, for your custom text. 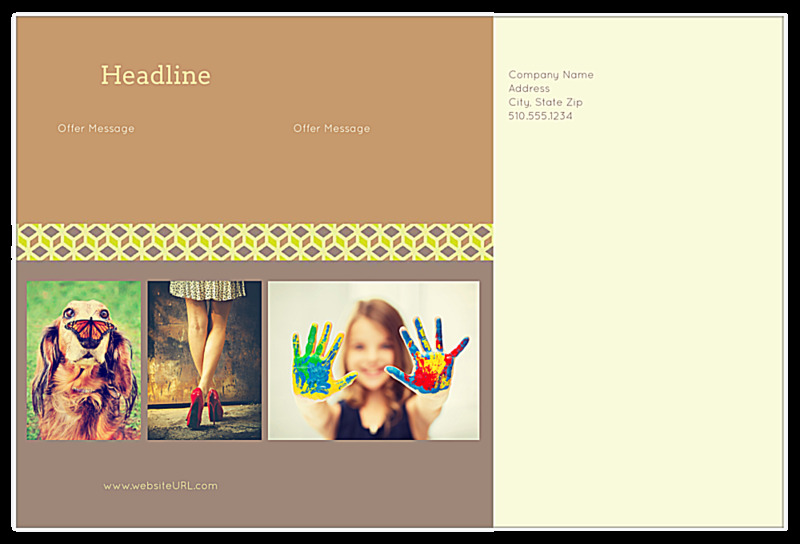 On the back, three text fields allow ample space for your company information, message, and contact information, also separated by a geometric border. There are also three areas for images. Cubic Borders is available in five different color schemes and three edge designs. 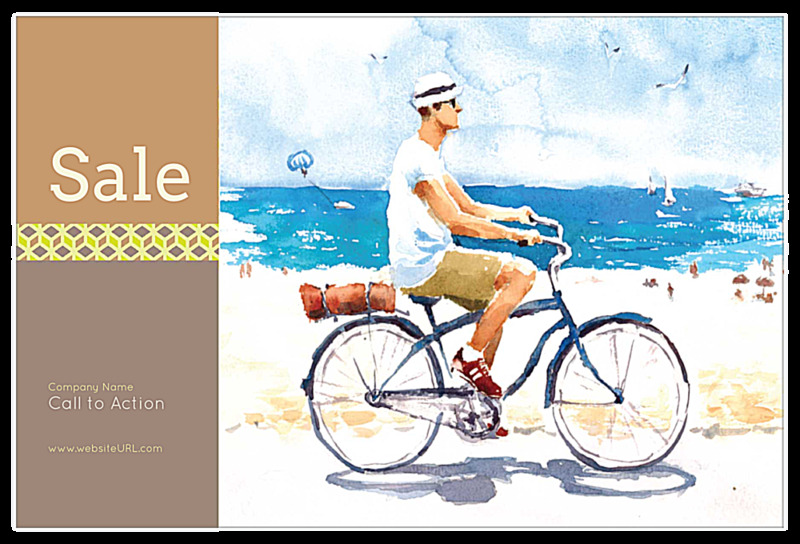 Personalize your postcard design with our online postcard maker today! Customize professionally-designed Cubic Borders with your own company name and information, message, and images fast and easy with our online postcard design tool. Choose your template, color scheme, and edge design, then point-and-click your way to customizing your company information, message, images, and contact information. Customizing is fast, easy, and free! Premium paper stock and high-quality orienting bring your custom postcard design alive. PsPrint uses vivid, soy-based inks which are more vibrant than traditional petroleum-based inks. All our postcard printing services are backed by out 100% customer satisfaction guarantee, so you know you’re making the best choice when you choose PsPrint as your online printing partner. Choose ultra postcards for an especially luxurious look and feel with an edge band splash of color. Or add a shiny foil stamp for an elegant effect. And check out PsPrint’s mailing services for fast, affordable, and convenient postcard mailing assistance!